The Bank of Montreal (BMO) is warning investors that revenues from adult-use cannabis in Canada could come in lower than expected over the coming quarters due to the slow build-out of retail stores, flat nationwide retail sales and inventory depletion. “The pace of new bricks-and-mortar store openings, particularly in Ontario – beginning April 1 – will likely be gradual, which may also limit the level of recreational sales over the coming quarters,” the bank warned in an April 1 report for institutional investors. BMO believes some licensed cannabis companies reported stronger sales in the fourth quarter of 2018 after dipping into accumulated inventory to ship to provincial wholesalers, according to the report. It will take those firms time to “meaningfully replenish” their finished product inventory stemming from supply-chain bottlenecks and ongoing challenges with growing cannabis at scale, the report’s authors wrote. Statistics Canada defines finished inventory as stock that is packaged, labeled and ready for sale. Canadians bought 205 million Canadian dollars ($154 million) of adult-use cannabis through January, according to Statistics Canada. Monthly sales have been mostly underwhelming, owing to a very limited selection of consistently stocked products and an overall shortage of physical retail stores in most of the country. By month, adult-use cannabis sales started at CA$43 million in October, rising to CA$53 million in November, CA$55 million in December and just CA$53 million in the first month of this year. That suggests “the pace of revenues may be muted” in the quarter, according to the BMO report. BMO lowered Canopy Growth’s first calendar quarter 2019 revenue target to CA$88 million, down from CA$118 million. 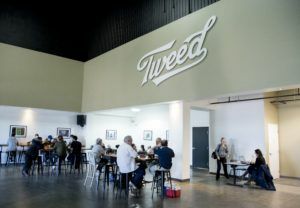 Canopy’s 2019 fiscal-year revenue estimate was cut to CA$220 million (down 12%) and 2020’s was lowered to CA$754 million (down 33%). The bank expects Canopy to sell 26,400 kilograms (58,200 pounds) of cannabis in fiscal year 2019 and 107,000 kilograms the following year. The bank also lowered the forecasts for Tilray’s adult-use selling prices in 2019 and 2020. First calendar-quarter revenue is still expected to come in at a modest CA$23 million. However, 2019 and 2020 revenue forecasts were lowered to CA$160 million and CA$390 million, respectively. Margin deteriorated, highlighted by difficulties in ramping up cultivation. Companies such as Cronos and Tilray are falling behind in terms of current production. Ramp up is still to come for companies such as Aurora and Hexo. For many companies, selling prices of medical marijuana fell as some firms absorbed the excise tax on medical cannabis.